A lie is just a really great story that someone ruined with the truth. Here’s the mini-cherry on top of the regular cherry on top of the sundae of awesomeness that is my life. equivalent of a baby’s smile. Do you have some puritanical hang up on prostitution? Dude, it’s the world’s oldest profession. God, it’s me, Barney. What up? I know we don’t talk much, but I know a lot of girls call out your name because of me. In my body, where the shame gland should be, there is a second awesome gland. True story. It’s gonna be legend-... wait for it… and I hope you’re not lactose intolerant because the second half of that word is DAIRY! for you. So, remember, it’s not about scoring. It’s about believing you can do it, even though you probably can’t. Go get ‘em, tiger! Think of me like Yoda, but instead of being little and green I wear suits and I’m awesome. I’m your bro—I’m Broda! 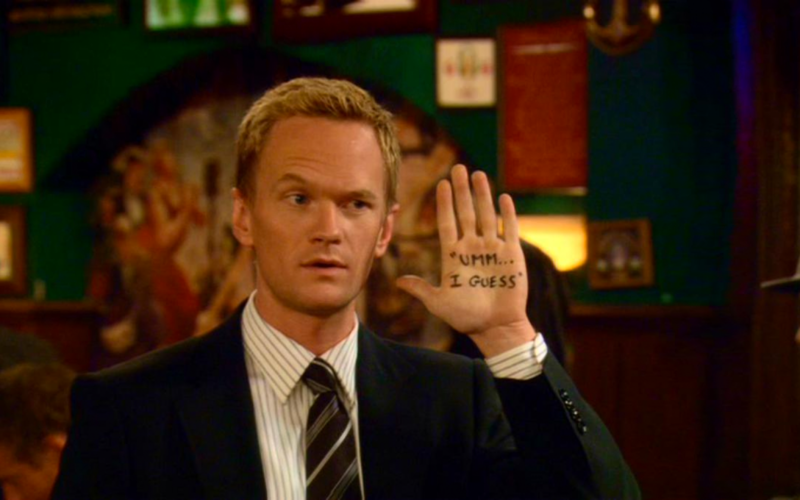 Barney Stinson: I had to look away because if I watched what the paramedics were about to do, I would've passed out. Then they took out this electric blade thing, and I kept thinking "this isn't happening, this isn't happening!" Lily Aldrin: Oh my god, what did they cut? Barney Stinson: My suit, my beautiful suit!